Can Your Millennial Manage Money When It's Time to Buy a Car? Your Millennial is learning how to manage money and now it’s time to buy a car. These hints will help you navigate the experience together. You’ve held your child’s hand through all the big milestones—first steps, first day of school, high school graduation, and first job. 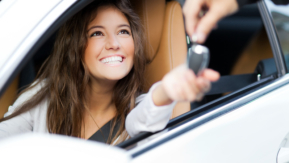 Now, it’s time to make sure your young adult knows how to manage money and is ready to purchase his or her first car. From financing details to emotional and social ramifications, here are the best ways to help prepare your Millennial for that first-time car-buying experience. A gently used car is the best choice for most new drivers. You’ll want to find a vehicle with the most durability, since teens are notoriously hard on cars. As you narrow down the choices, discuss other needs-versus-wants features. Believe it or not, the process of choosing offers tons of educational moments and chances for you to help your child make some tough decisions. As an adult, financing may be nothing new to you, but first-timers must learn the ins and outs of car loans. Sit down with your son or daughter and explain the most important loan terms, including interest, down payment, and consequences of default. To avoid overcomplicating the issue, you can use a simple, free online tool like the consumer loan calculator from My Credit Union, which lets you toy with loan duration, rates, and principal to play out the different scenarios available to your teen. 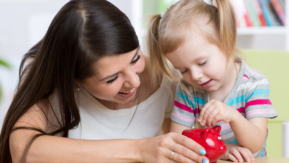 Making on-time installments to a debt teaches your child how to manage money even better than lecturing, notes the Consumer Financial Protection Bureau, so set a good example by faithfully executing your own monthly payments. Get to know your local car dealers, lenders, mechanics, and insurance experts. You will have questions along the way, it never hurts to introduce yourself to the locals who know a thing or two about cars. Allow your child to drive the family car with a driver’s permit as he or she spends the next few weeks or months working to amass a smart down payment. As you ride shot gun, role-play scenarios where friends may be distracting or an animal is blocking the road. Consider a reputable “skid school” to learn the kind of defensive driving skills your child will need when he or she first encounters real-world distractions, suggests Consumer Reports. Discuss options and ways to prevent or cope with different situations. As you navigate this new territory, take these considerations into mind to ensure your teen understands how to manage money and is ready to own a car. Meet Bethany Johnson, pop-culture and modern corporate reporter. Before the days of SEO, Bethany was immersed in the professional snowboarding industry. Through sponsorships, interviews, press releases, and public conduct, she promoted gear, brands and concepts. In 2007, Bethany went to the National Championships and won a bronze medal (3rd place) in the SnowboardCross event. Coming out of the world of professional snowboarding, she chose the office of a private investigator on Capitol Hill. There, she says her hunger for a good story only grew. Like many milennials, Bethany is industry certified in (seemingly) random things: Oracle 11g SQL, snowboarding movement analysis, Microsoft Access database systems, and pet therapy. For years, corporate clients like Tom's of Maine and Purina have relied on her to generate buzz on their sites. Media consumption for media consumption's sake is finally history. So get to clicking, and enjoy.